Determined to win a scholarship to a film school, a boy joins his school's girls' volleyball team. Imagine you're a professional female soccer player. You've worked hard to help get your national team to the Women's World Cup and you fancy your nation's chances at the tournament, but in your first game against Argentina it turns out the South Americans have named Lionel Messi in their starting 11. You obviously protest, but the Argentinian coach gives you some faux-progressive nonsense about equality and calls you a dinosaur and a bigot. You'd be pretty damn peeved, wouldn't you? This is something writer/director Nathan Adloff's misguided teen drama, Miles, can't seem to grasp. 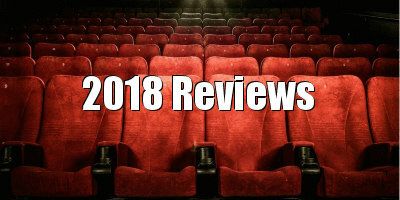 Inspired by true events, it's the story of the titular teen (Tim Boardman), a gay high schooler in 1999 who has his sights set on getting out of small town Illinois and winning a place at a film school in Chicago, where he can embrace his sexual identity. When his boorish father (Stephen Root) dies of a sudden heart attack, Miles' mother, Pam (Molly Shannon), breaks the news that the family is now broke and can't afford to send Miles anywhere more prestigious than community college. Meeting with his school's careers councillor (Simpsons' alumni Yeardley Smith), Miles is alerted to a volleyball scholarship at a top university in the Windy City. Trouble is, his school only has a girls' volleyball team. Not letting a small detail like that deter him, Miles applies to the team, and is welcomed with open arms by coach Leslie (Missi Pyle). Needless to say, this doesn't go down well with the rival volleyball teams in the area, and who can blame them? While Miles has chosen the sport on a convenient whim, the girls he's competing against have dedicated blood, sweat and tears to the game. Miles is a story of male entitlement, but it mistakenly believes itself to be a progressive LGBTQ drama about following your dream against stern opposition. The 'villains' - those who object to Miles' presence on the team - are portrayed as stereotypical Trump supporters, but this isn't an issue of conservative views versus liberal views, merely of male limbs versus female limbs. It doesn't help that Miles' motivation to win the scholarship has more to do with getting laid than his desire to become a filmmaker. 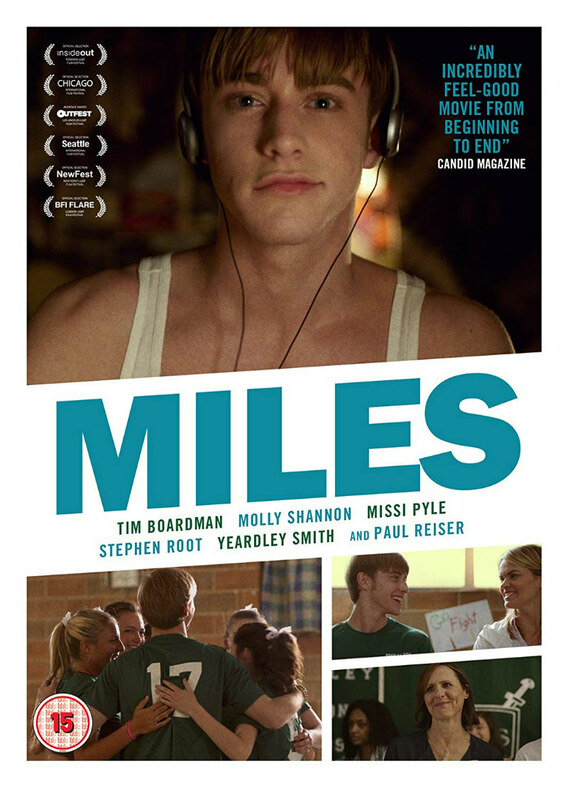 The film's treatment of Miles' sexuality is at times confusing, and his homosexuality doesn't really factor into the narrative in any meaningful way. Does being gay give Miles the right to play on a girls' sports team? Were he of a transgender nature the argument would be completely different and Adloff's film might be the against the odds drama it aims for. It's unclear as to whether Miles is still closeted or not, which removes some potential drama and suspense. When Pam comes across the primitive bulletin board her son has been using to chat with gay men, she's initially shocked, but then poses as her son, leading on the user at the other end, who responds with explicit messages. Pam never raises this incident with her son, which seems odd, as even if she was aware of Miles' sexuality, wouldn't she be worried about him engaging in horny chat with anonymous men who are most likely old enough to be his grandfather? Adloff uses this bulletin board as a cheap means of doling out exposition regarding Miles' hopes and dreams, which means we're left to watch back and forth typed conversations for about 15 minutes of the running time. Not what the Lumiere brothers intended their wonderful invention to be used for. More compelling is a subplot about Pam coming to terms with how unhappy she was in her marriage and embracing her newfound singledom. Shannon is endearing in the role and her character is far more likeable than her narcissistic son. Elsewhere, some bones are thrown to movie geeks in the form of gags regarding '90s cinema culture, with Miles making money on the side from selling posters from his part time job at a local theatre. Things get meta during a discussion of the 1999 comedy Office Space when reference is made to how the film's 'stapler guy' doesn't talk like his character in real life. The actor in question is of course Stephen Root. Miles is on DVD now.